Running Past has covered several long gone sports stadia in Catford – notably The Mount, where Charlton played for a season (and Catford Southend somewhat longer) and the velodrome in what is now Sportsbank Street. In addition to this, there seems to have been a short-lived ‘stadium’ in Perry Hill that was home to the racing of both greyhounds and midget cars (not at the same time) in the early 1930s. It shouldn’t be confused with the main Catford greyhound stadium, whose entrance was in Adenmore Road. While it was referred to as ‘Perry Hill Stadium’ this implies something somewhat more grand than it actually was. 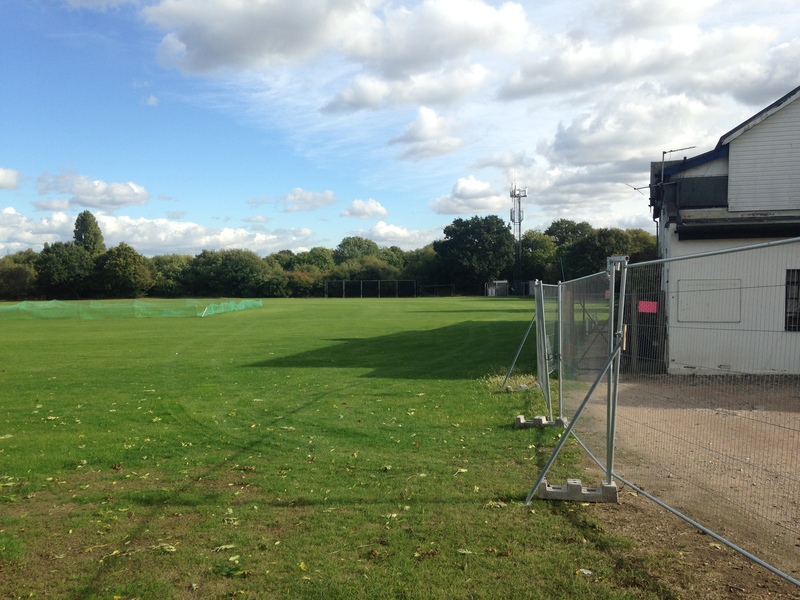 Given various references to Rubens Street iit may have been a ground-share with Forest Hill Cricket Club – what is now home to Catford and Cyphers Cricket Club. There is another possibility though, those with long memories of Perry Hill suggested in a Facebook discussion of this post, an area adjacent to it, next to the river as being Dog Field. This was home for a while to London Irish RFU (there is now a post on their stay in Perry Hill here), although not mentioned in their on-line history, and is shown on an Ordnance Survey 25 inch map surveyed in 1913, but not published for another couple of decades. 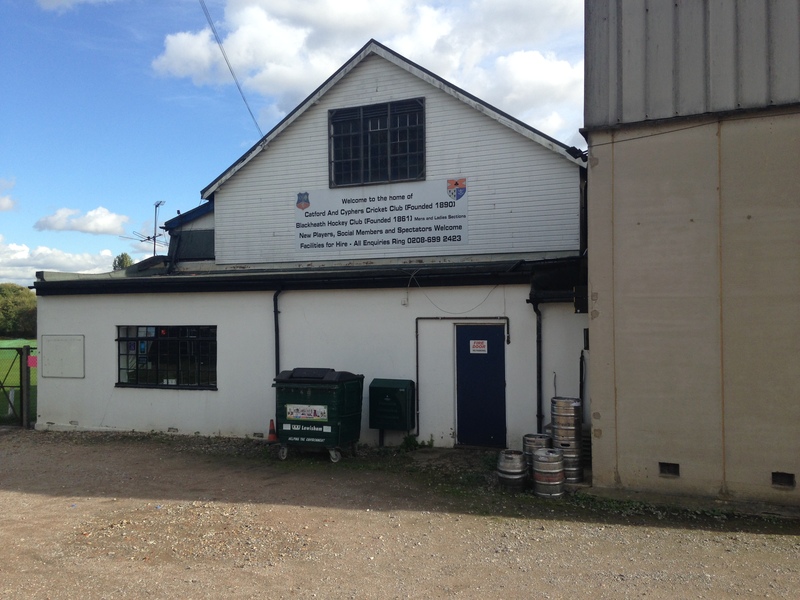 By this stage, London Irish RFC had ended their early itinerant history and had found a base in Sunbury on Thames in 1931. As the original access was a track from Rubens Street, this may have explained the address of the ‘Stadium’. Greyhound racing would have required some form of pavilion, which was presumably still there from the days of London Irish or the adjacent cricket club could have been used. Crucially, it would make more sense as midget car racing would have churned up the outfield of a cricket field. The company seems to have been set up for greyhound racing – the track was initially an unlicensed one (1) – one of the Directors, a Herbert Leonard Blann was prosecuted by the RSPCA for using live rabbits fixed to a ball for the greyhounds to chase in late 1933 (2). While it joined the British Greyhound Tracks Control Society (BGTCS), a short-lived rival to the bigger National Greyhound Racing Club (NGRC), that folded in 1935. The 1934 Betting Act tightened up licensing and all owners had to apply to the London County Council for a £90 licence which allowed for 104 meetings a year with betting along with a further four without it. Presumably they were successful as there are reports of racing in October 1935, although there was further trouble with the law as the Company was fined £25 and Hubert Blann £5 for permitting betting at Sunday meetings om August 1935 (3). 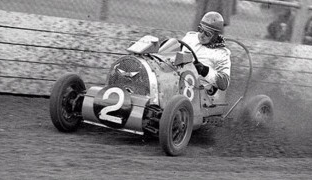 Midget car racing was introduced at Perry Hill in June 1935, it was a young sport which became big in the USA and Australia, but seemingly much less so in Britain although there were tracks in the 1930s at Crystal Palace, Lea Bridge, Greenford and Dagenham. There were attempts in 1948 to get the sport to take off with a ‘tour’ of American cars at Stamford Bridge (British Pathé video below) as well as at Charlton’s Valley and Walthamstow greyhound stadium, but it never seems to have taken off as major sport here. While Herbert Blann was almost certainly involved in the races at Perry Hill, there have been suggestions that one of the other promoters was Kaye Don. Don had been a massive name in 1930s motor sport both on land and water; he had set the record on Lake Garda in February 1932 at 177.387 km/h (110.2 mph). Don’s fall from grace though had been spectacular – he was convicted of the manslaughter of Francis Tayler, a MG mechanic, while testing a car on the Isle of Man in 1934 – the car had no lights, number plates or insurance, yet it was driven on open public roads at 10:00 pm – it was involved in an accident from which Frankie Tayler subsequently died. Don was sentenced to four months in prison. Don was injured himself in the crash and it seems that he didn’t race again, and was out of prison by the time the races happened at Perry Hill. Based on Blann’s flouting of the law – maybe a partner like Don would have appealed. The first racing on the 250 m long course seems to have been on 8 June 1935. 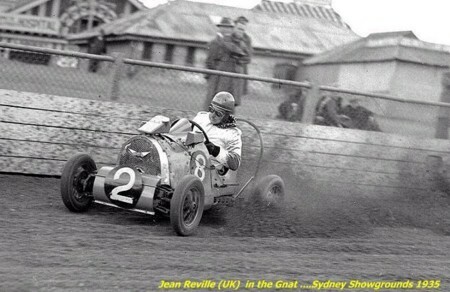 Little is known other that there seem to have been around three events and one of the drivers to feature was Jean Reville (see above – picture source) who enjoyed several victories in the three meetings; Reville was probably the leading light in the nascent sport – but he was to emigrate to Australia later that year. The racing on four wheels and four legs didn’t last long though; Perry Hill Stadium Ltd was in liquidation before the end of 1935 – the action was brought by a creditor, Charles John Hull, who was the long-term licensee of the Osborne Arms in Deptford. With hindsight it was probably a doomed venture – both sports had local competition, midget car racing was run at an established speedway track at Crystal Palace and greyhound racing in Catford – both of which had much better public transport links. The owners of the Catford Stadium had tried midget car racing without success in 1934, so perhaps that should have been a warning. If Dog Field was the old London Irish ground, part of it was built on with the eastern edge of Datchet Road – the rest remains as open space – appropriately still used for dogs – the main users being dog walkers and their hounds. “The Training of Greyhounds.” Times [London, England] 30 Dec. 1933: 7. 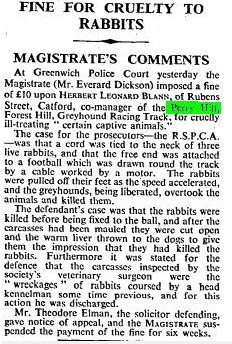 “Fine for Cruelty to Rabbits.” Times [London, England] 5 Jan. 1934: 14. This entry was posted in Lewisham History, Lost Sports Stadia and tagged Catford, Dog Field, Frankie Tayler, Jean Reville, Kaye Donn, Midget car racing, Perry Hill Stadium on November 10, 2016 by Paul B.